To ensure you’ve got sleek and prospering registration, we’ve provided you with the 2018 waec registration template form. These are Pdf document that contains all the data that you simply going to be needed for on-line Registration for waec may/june and waec gce nov/dec enrollment. The School or Candidates are advised to download and fill the 2018 registration template properly before continuing for the online/offline registration. This is to confirm you make right choices regarding your subject, date of birth, and state of origin, correct name spelling e.t.c before your actual registration. this may help to eliminate most of the registration mistakes candidates often make. 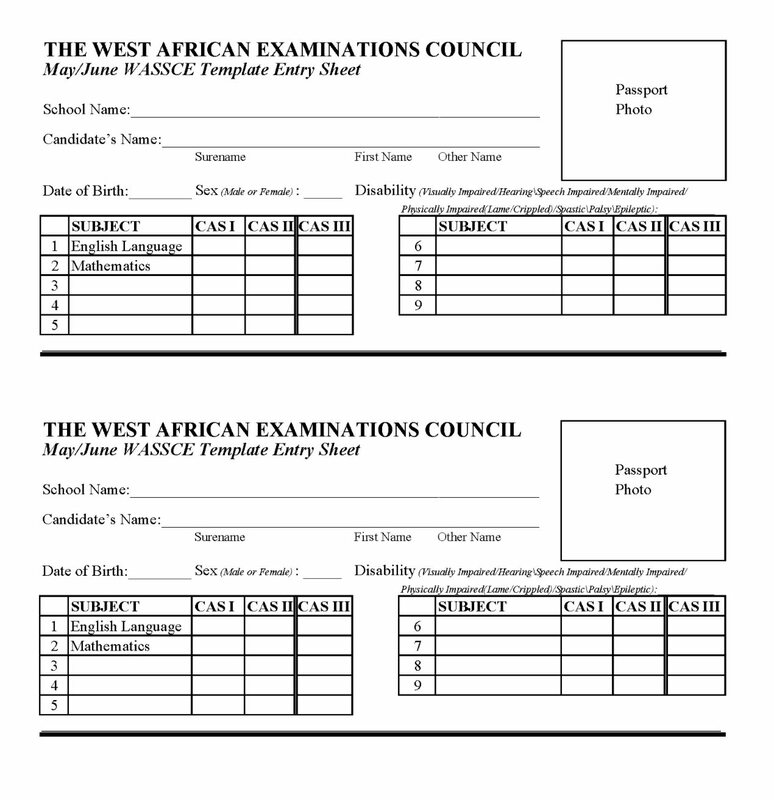 If you need help in filling the waec registration template, feel free to print this document and fill with the assistance of your Parents/Guardians, elder siblings or teachers/lecturers, or anybody that may assist you properly fill the entire form. Please note that this is solely a template, to assist candidates seek advice from their parents/guardians at home, and appropriately fill the online registration form at the point of registration. waec may/june registration start december of any year and end February of the subsequent year. waec gce registration begin June and end August every year. WAEC Registration Form 2018/2019 – How to Register for WAEC in all Approved Schools Various Secondary Schools in Nigeria. 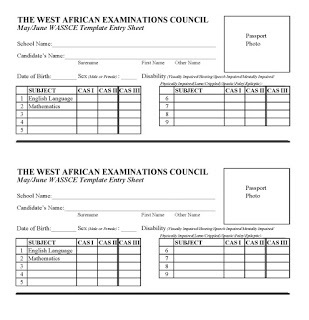 The West African Examinations Council (WAEC), will begin conducting 2 series of the West African Senior school Certificate Examination (WASSCE) for private Candidates, as from 2018. The First Series are going to be conducted between January and Feb, whereas the Second Series are going to be conducted between August and October each year. The WASSCE for private Candidates, 2018 – initial Series would be an urban based examination. Nineteen (19) subjects are obtainable for the examination.